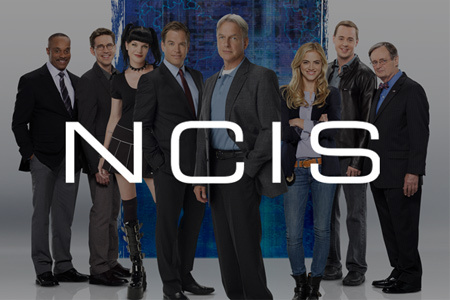 NCIS (Naval Criminal Investigative Service) is more than just an action drama. With liberal doses of humor, it’s a show that focuses on the sometimes complex and always amusing dynamics of a team forced to work together in high-stress situations. NCIS Special Agent Leroy Jethro Gibbs, a former Marine gunnery sergeant whose skills as an investigator are unmatched, leads this troupe of colorful personalities. Gibbs, a man of few words, only needs a look to explain it all. The team includes NCIS Special Agent Anthony DiNozzo, an ex-homicide detective whose instincts in the field are unparalleled and whose quick wit and humorous take on life make him a team favorite; NCIS Special Agent Timothy McGee, an MIT graduate with a brilliance for computers; and the newest member of the team, Probationary Agent Eleanor “Ellie” Bishop, a mysterious mixture of analytic brilliance, fierce determination and idealism who specializes in international threat assessment and global preparation. Assisting the team is the youthful and energetic forensic specialist Abby Sciuto, a talented scientist whose sharp mind matches her unconventional style and eclectic tastes, medical examiner Dr. Donald “Ducky” Mallard, who knows it all because he’s seen it all – and he’s not afraid to let you know it – and Ducky’s protégé, Assistant Medical Examiner Jimmy Palmer. Overseeing the operations is NCIS Director Leon Vance, an intelligent, highly trained agent who can always be counted on to shake up the status quo. From murder and espionage to terrorism and stolen submarines, these special agents investigate all crimes with Navy or Marine Corps ties.